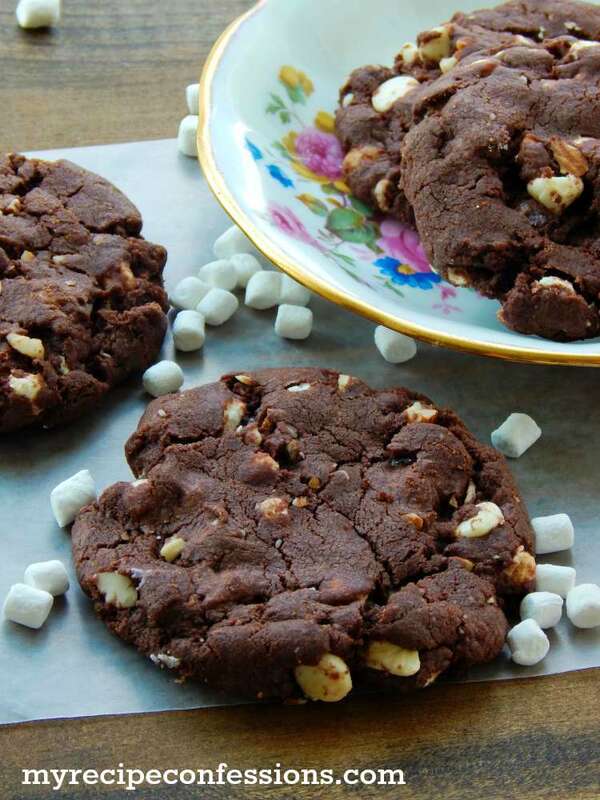 If you like Rocky Road Ice Cream, then you are going to love this Rocky Road Cookie recipe! 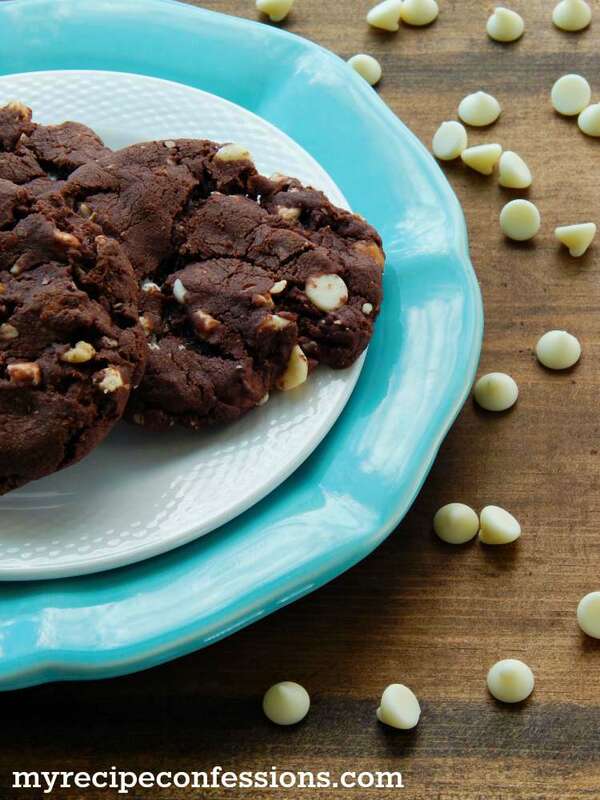 Who can say no to soft and chewy brownie like chocolate cookies that are loaded with white chocolate chips, peanuts, caramel, and marshmallows? I know I can’t. 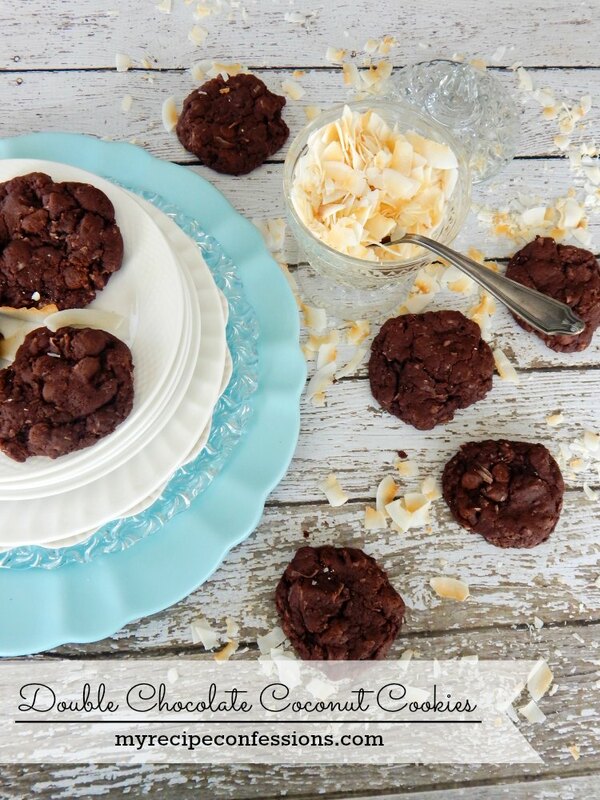 As far as cookies go, this recipe is fairly simple and fast. 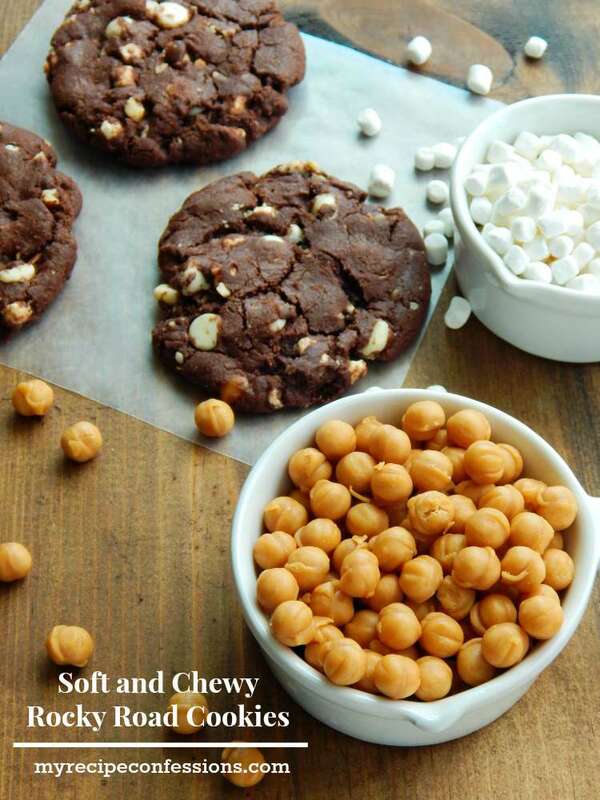 It is a great recipe to use to teach kids how make cookies. 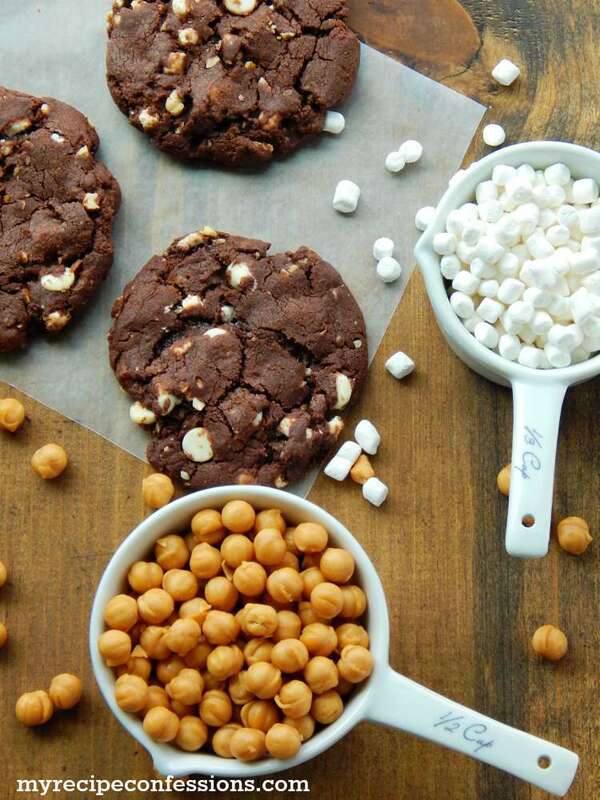 The kids can definitely help with measuring the ingredients, mixing the cookie dough, and rolling the balls of cookie dough. My two youngest boys love to help me make cookies. They beam from ear to ear when they get to tell the rest of the family that they helped make the cookies. And of course when my kids are happy,5 I am definitely happy! In a medium-sized bowl, cream the butter and sugar. Add the egg and egg yolks one at a time and mix well. 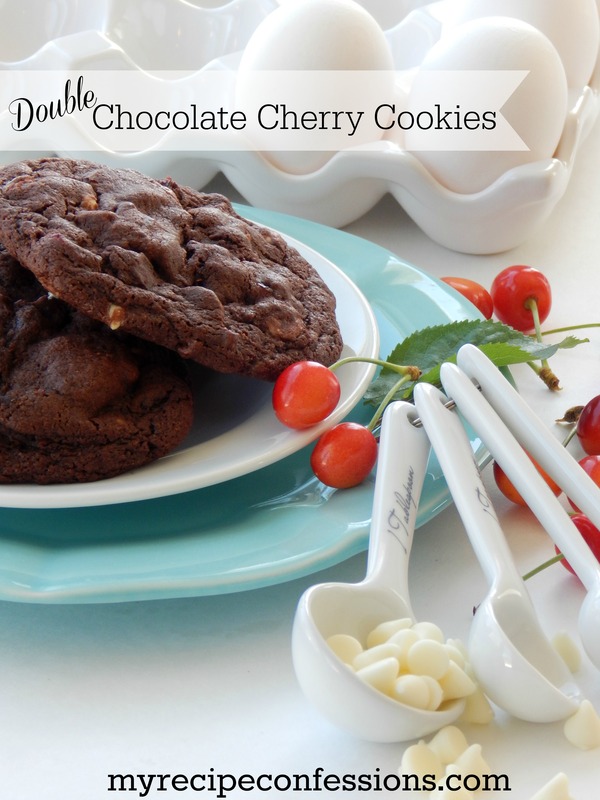 Mix in the vanilla extract, sour cream, and cocoa powder. In a small bowl, whisk the flour, salt, and baking soda together. Add the flour mixture to the chocolate mixture and mix just until the flour is incorporated. 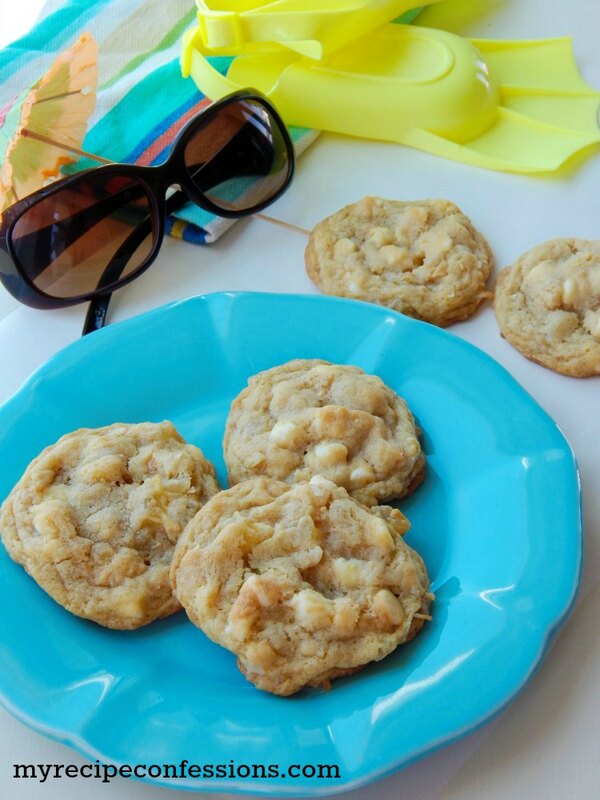 Fold the white chocolate chips, caramel bits, mallow bites, and nuts into the cookies dough until well combined. Form the cookie dough into 2 inch balls and place them on an ungreased cookie sheet. Flatten the cookie balls slightly with your hand. Place the cookie sheet in the oven and bake for 10 minutes. Do not over bake the cookies or they will be dry.